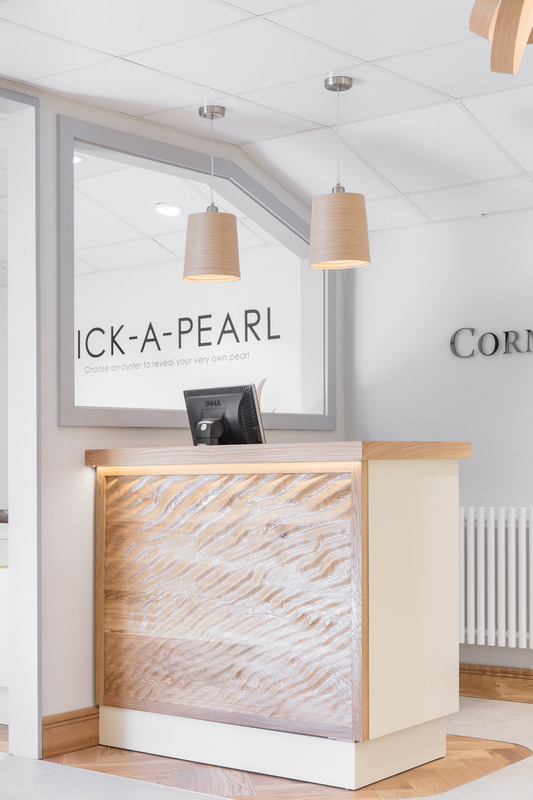 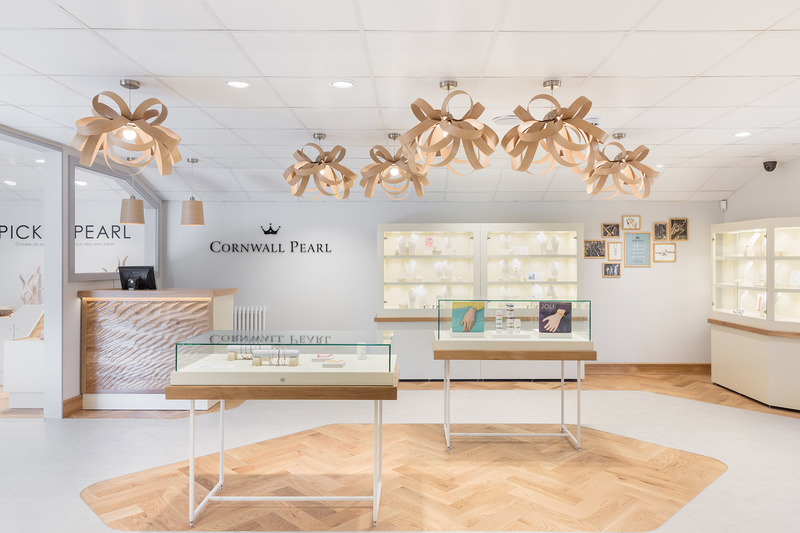 Sourcing and selling the finest quality pearls, Cornwall Pearl was looking for a design that was sensitive to the nature of its product and would give context to the areas where oysters can be grown and found. 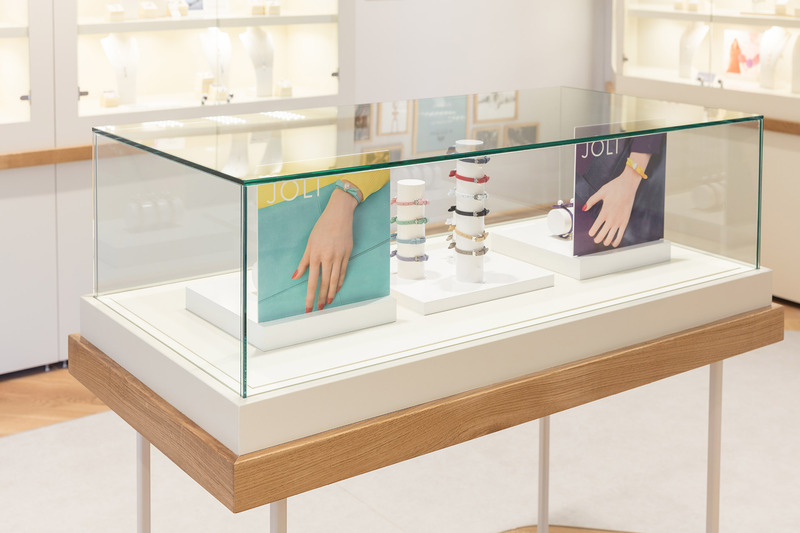 Working closely with the client, we developed a design that both complimented and illuminated the beauty and simplicity of the jewellery. 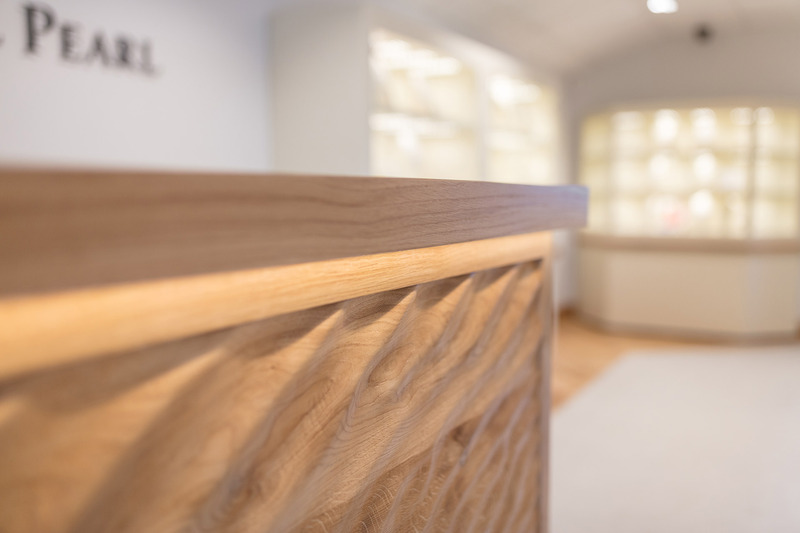 Referencing the Cornish coastline with a natural palette of materials and textures, we reflected the quality of the brand through high-end, detailed joinery. 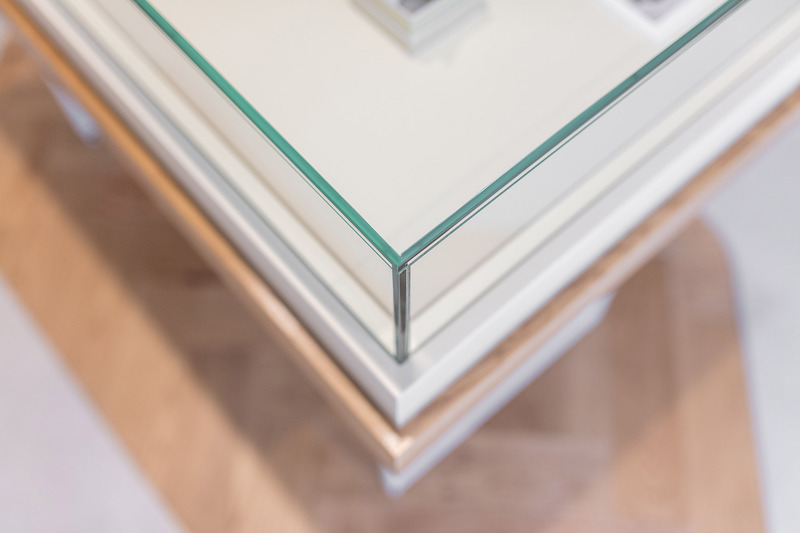 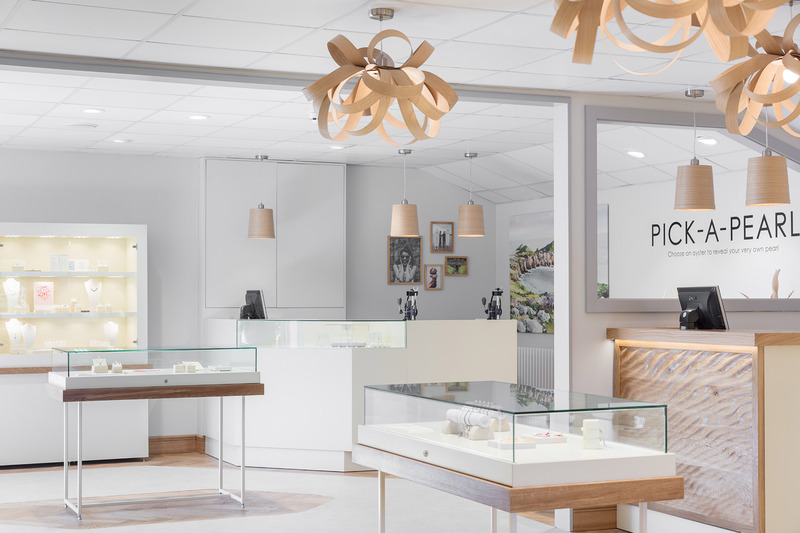 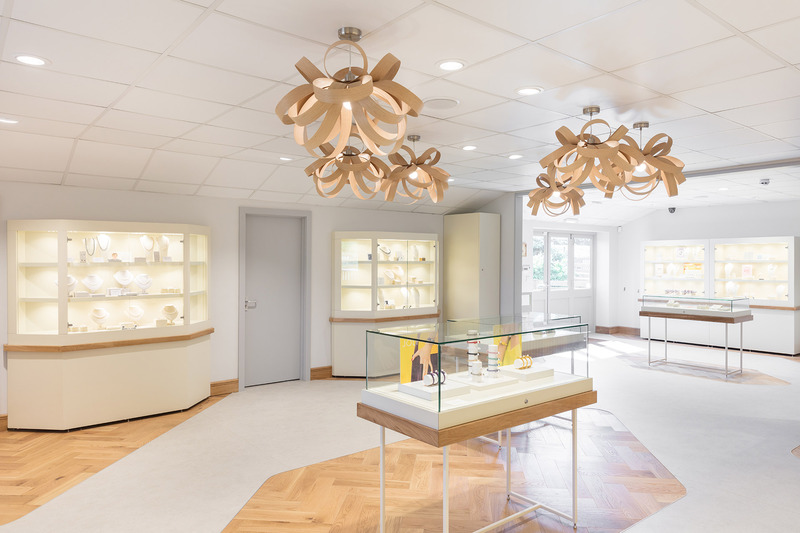 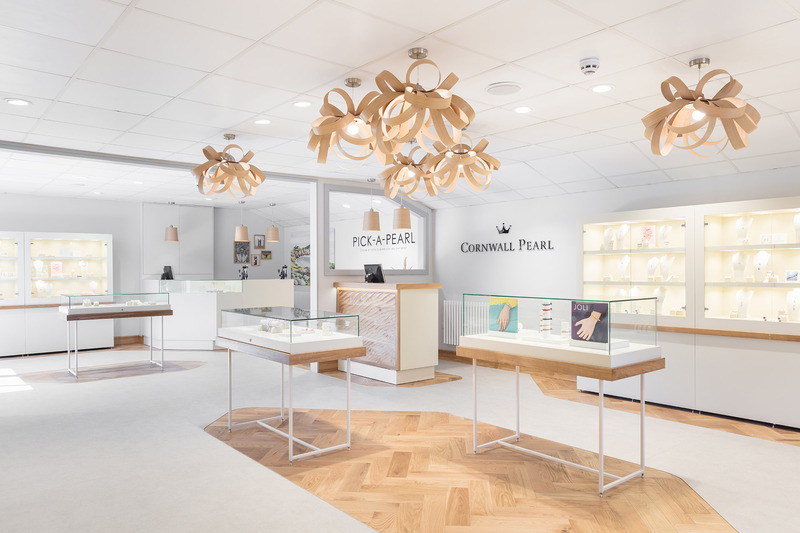 Parquet flooring created natural islands to help guide customers through the store, while highlighting areas of particular interest – such as the popular ‘Pick a Pearl’ service. 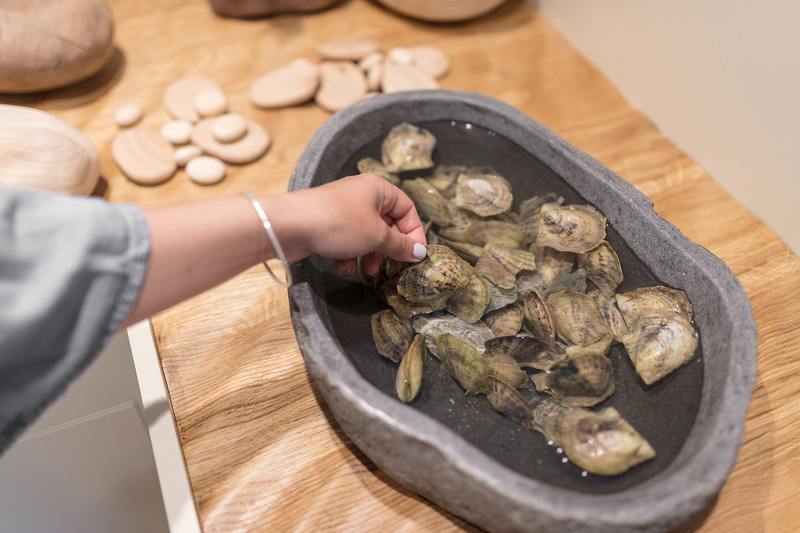 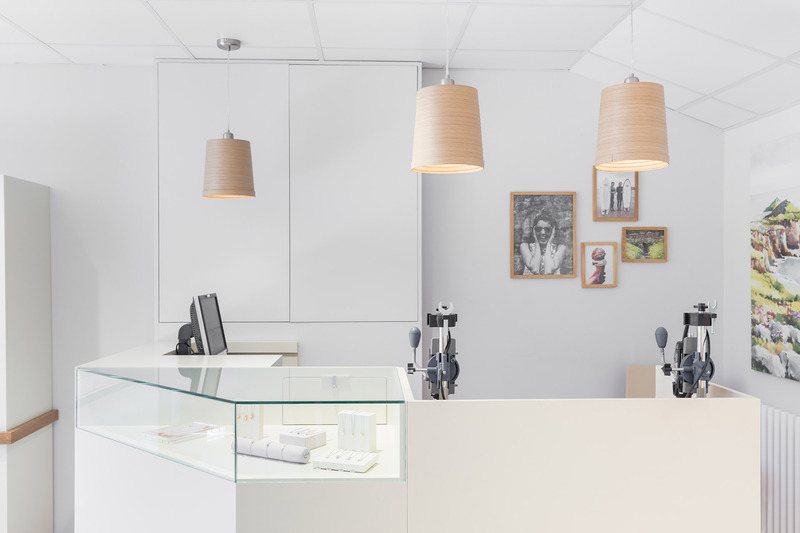 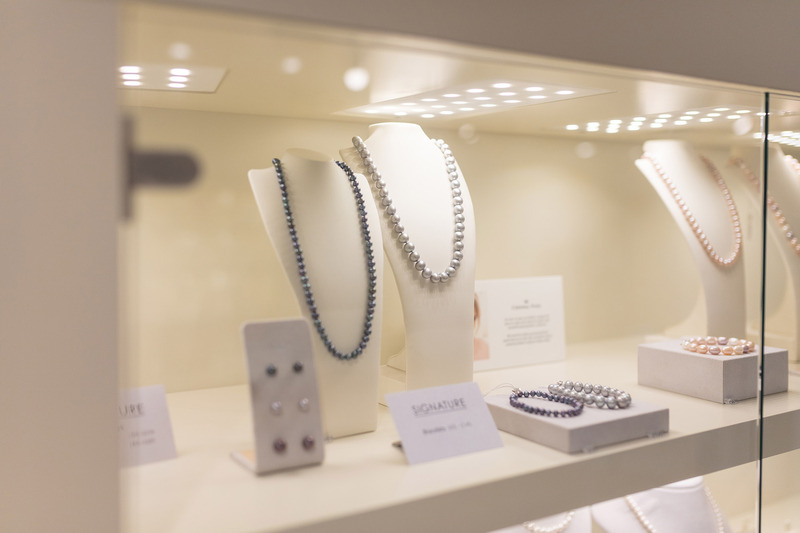 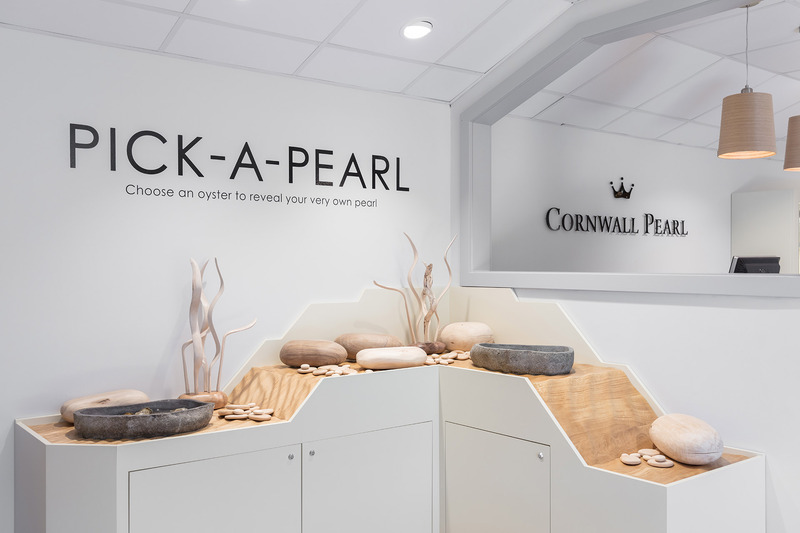 A rock pool environment sits as a backdrop for the oysters on display, and an open workshop within the store creates theatre and intrigue for customers waiting to have their pearl made into a bespoke piece of jewellery.